I have developed a design of interconnected lines that provides a visual metaphor for the purpose and function of the Transitway itself: bringing together multiple peoples, travelling from different directions within a unified system, in order to make connections. Each line of the design is linked to another; each shape is related to the lines. The intricate design is also a unified whole, just like the intersecting web of the lives people live on a daily basis. I have created seven iterations of the design. The lines of the patterns always connect, even when mirrored or placed back to back. This was not planned on my part and was a gratifying yet unexpected discovery while I was working. Each station also has a different color, providing identification other than text. This visual recognition will also assist those who cannot read English. 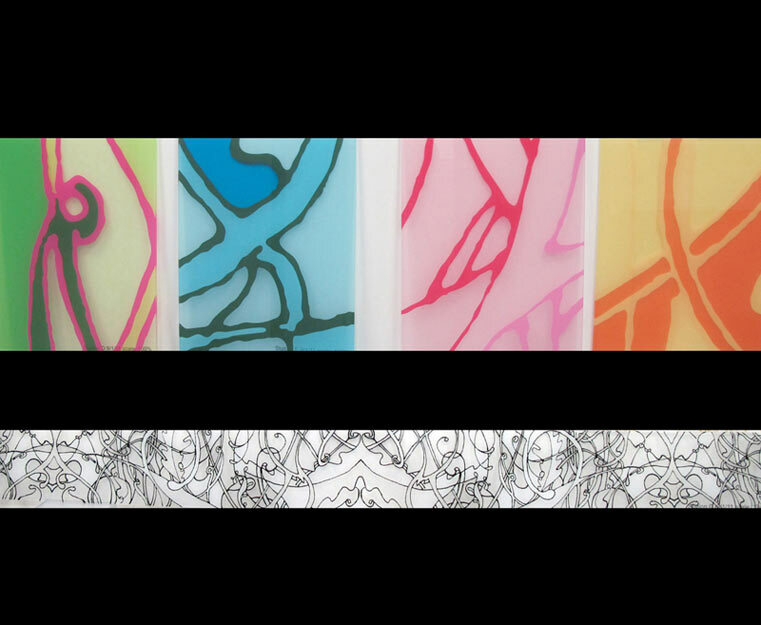 Each of the colors within each design has a different degree of translucency adding a sense of movement to the overall pattern. 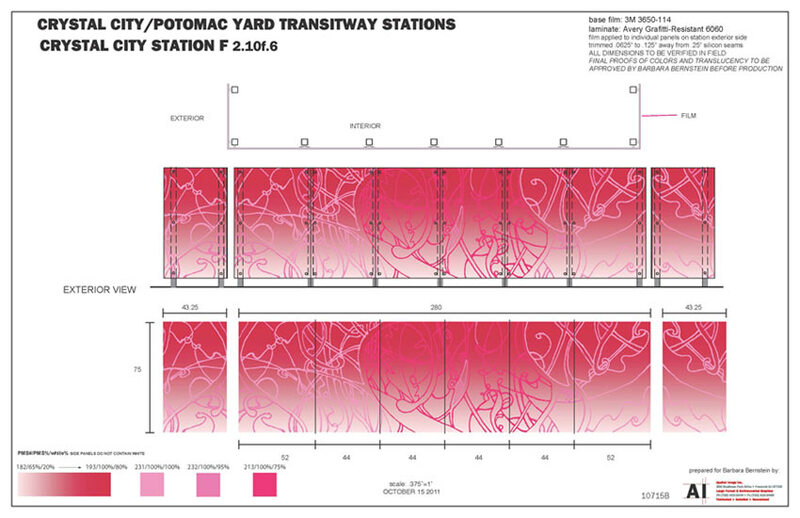 My goal is that pedestrians and those traveling in cars, bikes, strollers and wheelchairs will also appreciate the variations of color and pattern arrangements the different stations provide. These enhancements are an invitation to the passengers and community for an on-going discovery, offering connections at every juncture.